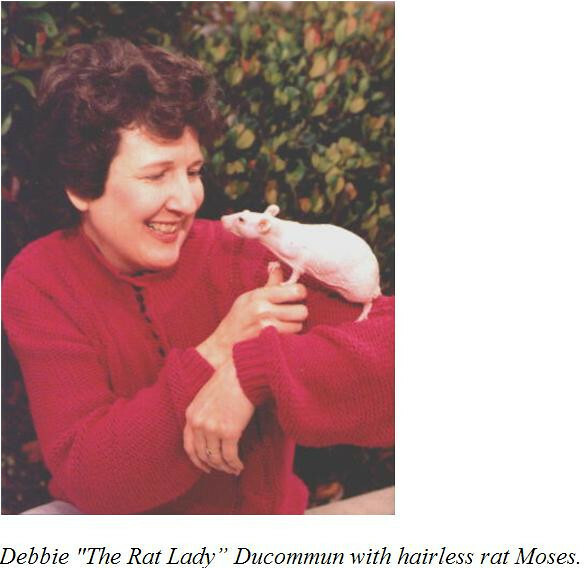 Debbie Ducommun, The Complete Guide to Rat Training: Tricks and Games for Rat Fun and Fitness, T.F.H. Publications, 2008, 144 pages. Excerpts, Chapter 4, “Practical Training”, pp. 43-45. Reprinted with permission. 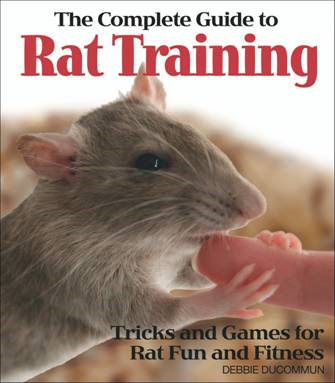 “The best time to have a training session is when your rat is alert and a bit hungry. To begin, offer your rat the special food treat on the spoon inside his cage. Next, have him get up onto the door (depending on the design of the cage) to get the food. Once he does this reliably, have him come out of the cage and climb on your knee, arm, or other hand before allowing him to eat the food. Click the book image above to go directly to the RanFanClub page for more information. 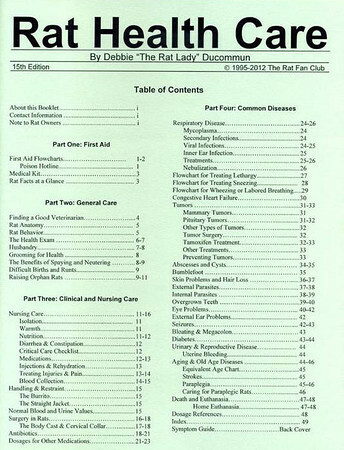 Book content description below is from Debbie Ducommun's site. 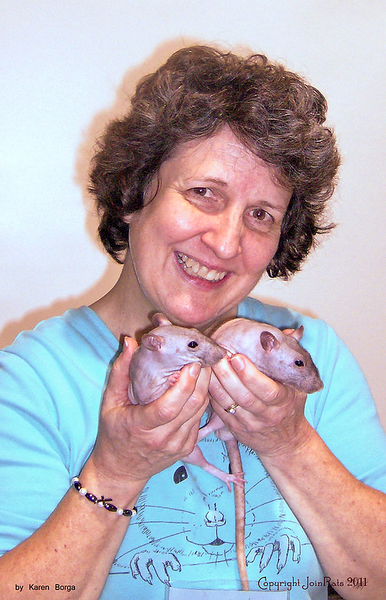 If you're viewing the famous Rat Lady herself from the keywords page, click the link below to go to the gallery to view information from Debbie's new book on "The Complete Guide to Rat Training: Tricks and Games for Rat Fun and Fitness," plus other great information about her and her Rat Fan Club.